So, once again, G-Shock releases a new series of 6900’s; this one called the “Matt Dial Series” commemorating their discovery of the renowned matte finish. The bezel is glossy and the band is matte; typically mixing the finishes up a bit. Actually, the news is that these watches sport new colorways. And the even better good news is that there are no new features – nothing to confuse color-matching-sneakerheads and collectors who have no use for features anyway. To think that you could get a well engineered Swiss sport watch for $80. to $140. would usually be just plain dumb. But here we are – three fantastic timepieces that you can rock for cheap from Stuhrling Original. Check out the big pictures and special features after the jump.. Here are six of Stuhrling Original’s most appealing dress watches, selected for their elegant design and attractively discounted prices. Jump to see large pictures and feature overviews. So here comes another new Frogman, similar looking to the Ruby Special Edition but less than half the price. This model is due to be distributed in Japan in June 2011 for just under $1000. Jump to check out the features and a large picture. G-Shock collaborates with I.C.E.R.C. Proceeds go to Whale and Dolphin research and education programs. EARTHWATCH and other institutions benefit from sales of GW6900K-7, GW9201KJ-9 and BGR-3003K-2JR. 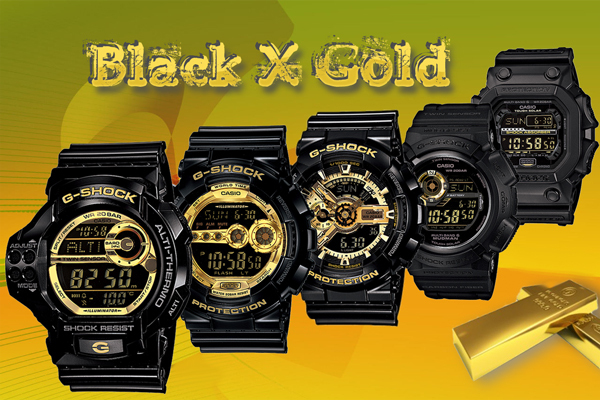 Casio’s online store on their Japanese site – CASIO STORE– is taking orders for the watches. I wouldn’t put off the purchase too long if you want one, since the edition is limited to 6500 units.